According to certain blogs on the internet, the Turkmenistani horse (Akhal-Teke breed) is officially the most beautiful horse in the world. Well, he does have a very shiny, very golden coat, most eye catching look, yes. The most unusual? Possibly. Here is a list of our favourite top 10 prettiest horses from around the world. 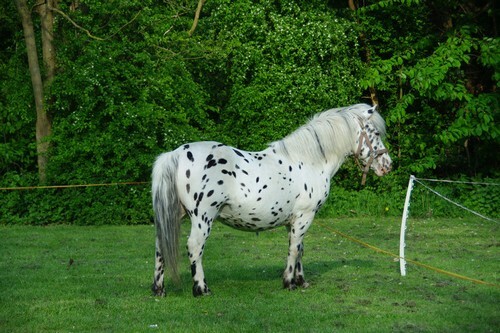 The Dalmatian horse or British Spotted pony, is a rare find with less than 200 being born in the United Kingdom each year. Until recently they have been believed to be a modern introduction of horse. However, it is now thought that these amazing animals have been around for at least 25,000 years. A Mustang is a free-roaming horse of the North American west that first descended from horses brought to the Americas by the Spanish. Mustangs are often referred to as wild horses, but there is debate over terminology. Because they are descended from once-domesticated horses, they can be classified as feral horses. 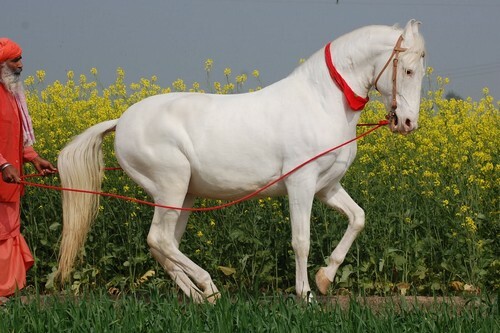 Known for its hardiness, the Marwari is a rare breed of horse from India. It’s also known for its inward-turning ear tips, it comes in all equine colours, although pinto patterns tend to be the most popular with buyers and breeders. The Friesian is a horse breed originating in Friesland, Netherlands. Friesians are graceful and nimble for their size. During the Middle Ages, they were in great demand as war horses throughout continental Europe. Through the Early Middle Ages and High Middle Ages, their size enabled them to carry a knight in armor. The Haflinger, a.k.a the Avelignese, is a breed of horse developed in Austria and northern Italy. Haflinger horses are relatively small, are always chestnut in color, have distinctive gaits described as energetic but smooth, and are well-muscled yet elegant. Known as the Pure Spanish Horse, is a horse breed from the Iberian Peninsula. It has been recognized as an individual breed since the 15th century. Throughout its history, it has been known for its prowess as a war horse, and was prized by the nobility. 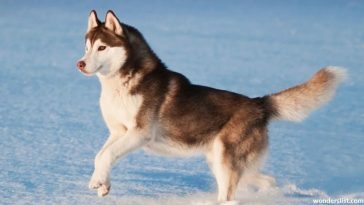 It is a small draught breed, popularly recognized for its abundant leg feathering and common black and white, or “piebald”, coat colour, though it can be of any other colour as well. The Morgan horse is one of the earliest horse breeds developed in the United States. It’s a compact, refined breed, generally bay, black or chestnut in color, although they come in many colors, including several variations of pinto. Used in both English and Western disciplines, the breed is known for its versatility. With a distinctive head shape and high tail carriage, the Arabian is one of the most easily recognizable horse breeds in the world. It is also one of the oldest breeds. Throughout history, Arabian horses spread around the world by both war and trade, used to improve other breeds by adding speed, refinement, endurance, and strong bone. This horse from Turkey, according to certain websites this is officially the most beautiful horse in the world. This most eye catching horse is a member of Akhal-Teke horse breed. They have a reputation for speed and endurance, intelligence, and a distinctive metallic sheen. The shiny coat of palominos and buckskins led to their nickname “Golden Horses”.